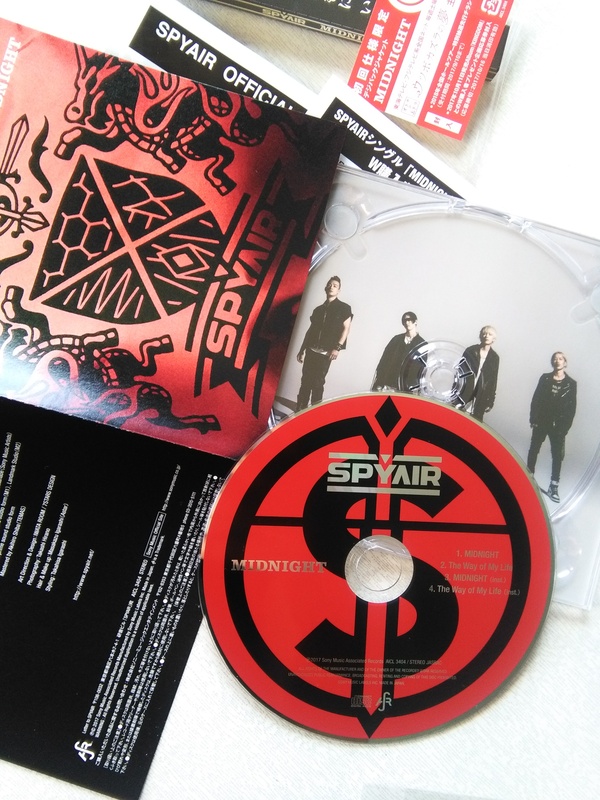 This is the first time I buy a single by SPYAIR and I’m really excited to have received my package so soon! Also, I’m so happy with my choice. MIDNIGHT is fantastic! You can still find it at CdJapan. Released on August 30, 2017, it only has one edition. 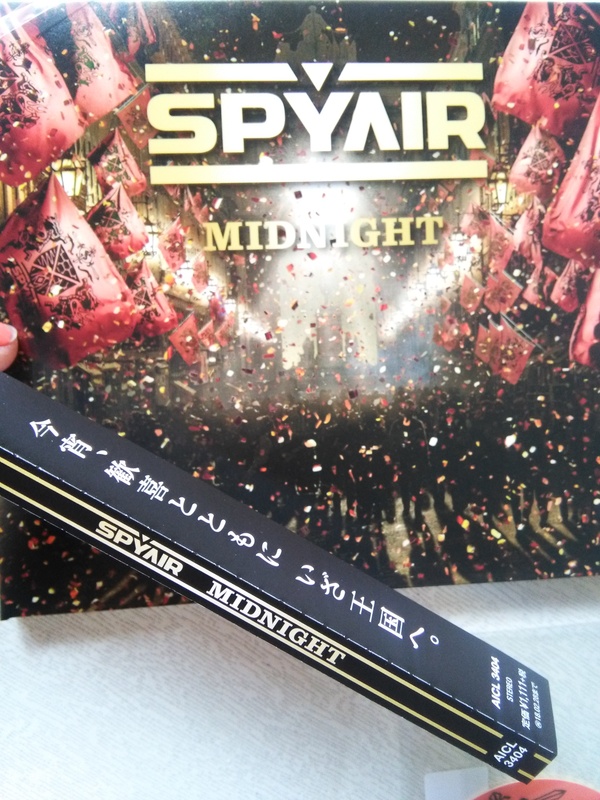 I’m in love with the cover image, is simply perfect for the sound of MIDNIGHT. My copy came with a sticker. It’s kinda simple, but I like it! It’s a nice bonus. MIDNIGHT is a great song! It really feels like a “night song”. The sound may look happy in the beginning, but it has a melancholic side, definitely. The lyrics give us a wake up call, somehow, but remain bitter till the end. You can read my translation here. It’s amazing how MOMIKEN is able to write great love songs and then also great strongly worded lyrics like MIDNIGHT. 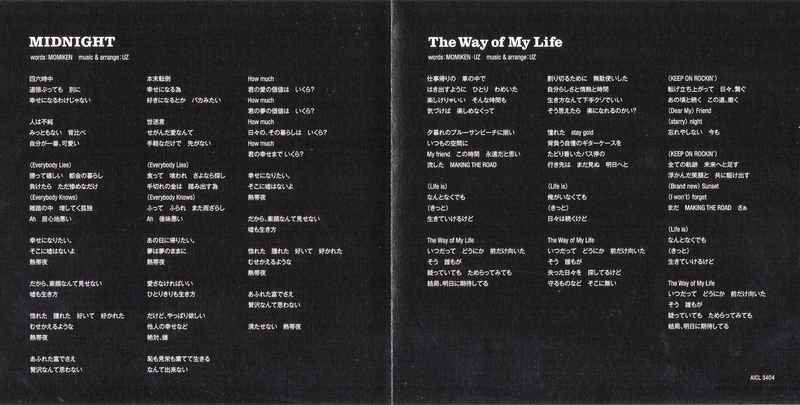 The Way of My Life is also a nice song, a classic for SPYAIR’s style. It has a summer feeling. Is like MIDNIGHT is the night song and The Way of My Life is the day song; they complement each other perfectly. You can read my translation here. More pics!~ You can click on them for bigger resolution. That’s all! I’m always happy to share reviews with you, so I really hope you enjoyed it. 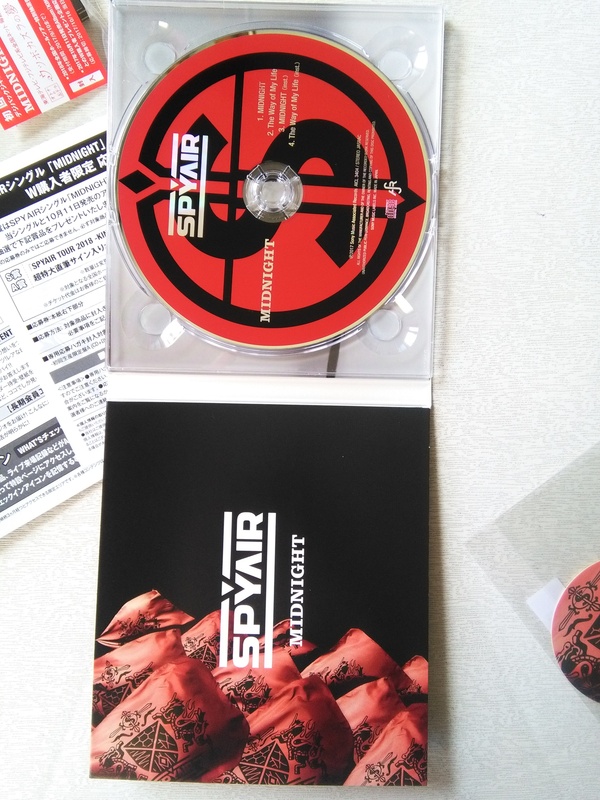 This entry was posted in Reviews and tagged cds, review, scans, spyair. Bookmark the permalink.